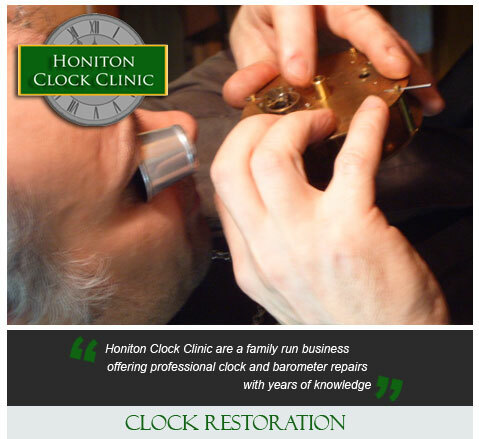 Honiton Clock Clinic are clock specialists, and know all there is needed to ensure your clock is repaired to the highest of standards. Based in Honiton they have help countless people across the south west of England to get their clock back to perfect working order. They can help restore various types of clocks, including clock repair and restoration, grandfather clock restoration, and grandfather clock repair. In addition to the work they do with clocks they can also help you with barometer repairs and restoration and can offer a range of barometer parts, including mercury tubes and brass dials. They offer Devon Clock Repair, Somerset Clock Repair and Dorset Clock Repair, which Honiton Clock Clinic offer a collection and delivery service so you do not have to worry about getting your valuable clock to them as they will do all the hard work themselves.